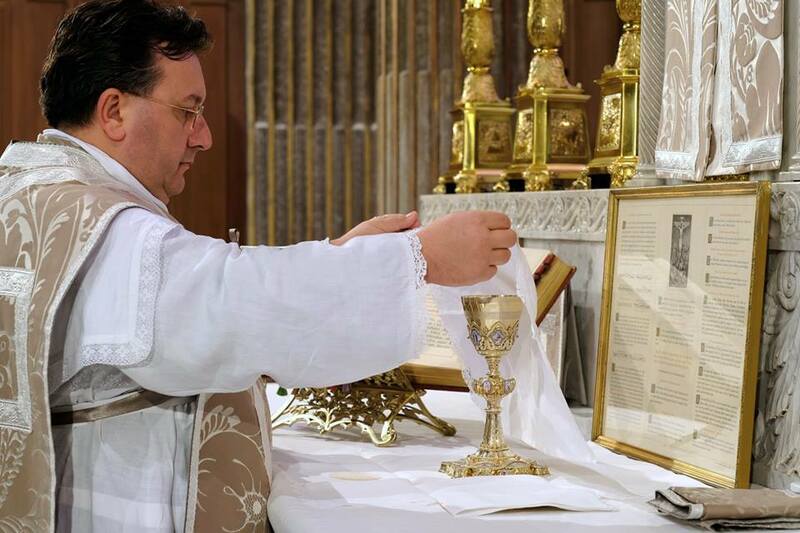 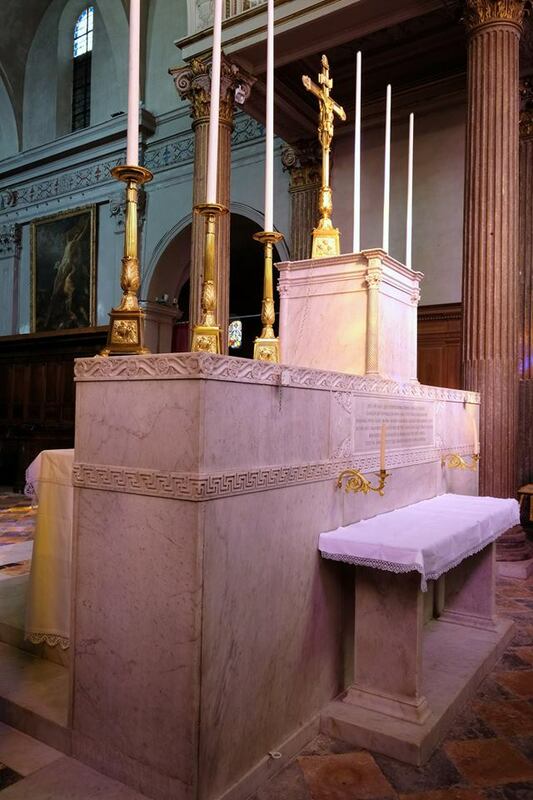 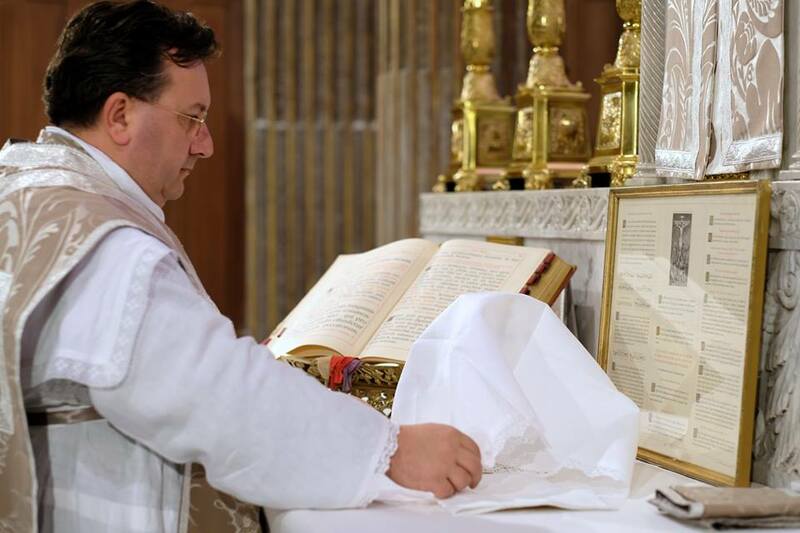 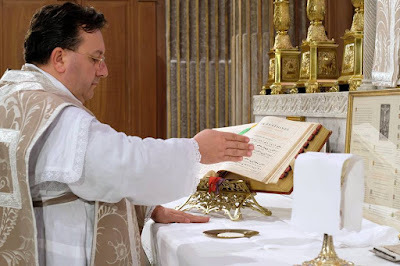 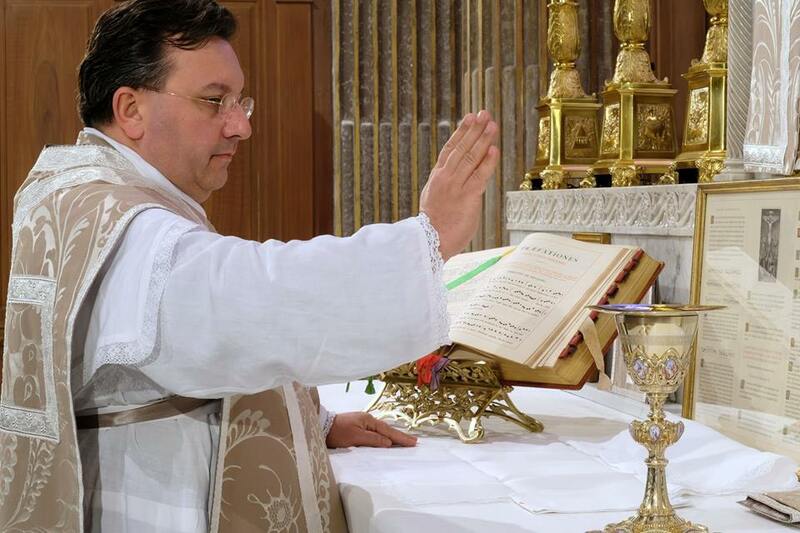 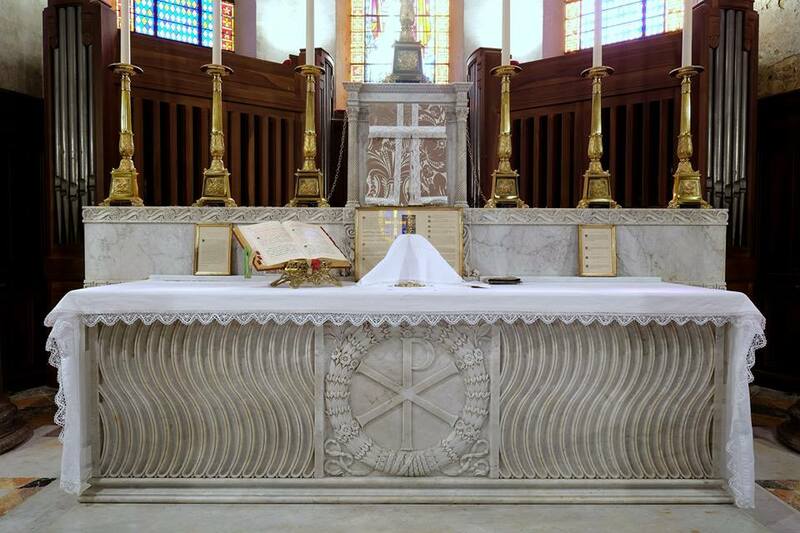 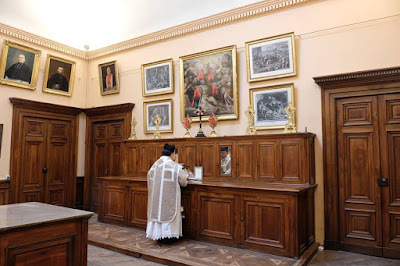 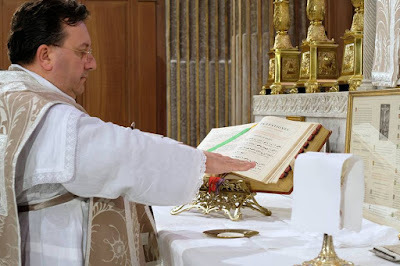 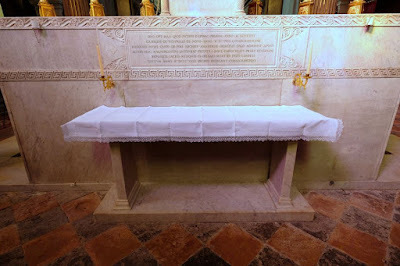 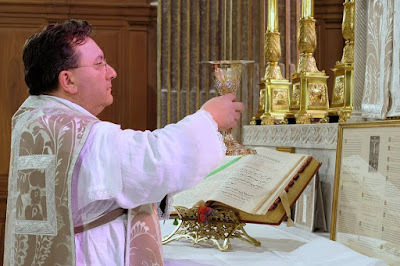 We recently shared a brief video of part of the Lyonais Mass, offered by Fr Brice Meissonier at the Collegiate Church of St Just, the home of the FSSP apostolate in Lyon. 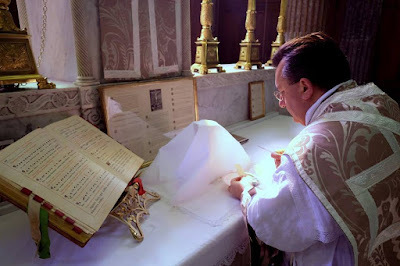 The Facebook page of FSSP Lyon has recently posted several photos which illustrate some of the other proper customs of the Use of Lyon. Our thanks for their permission to reproduce them here on NLM, and our congratulations to them for their valuable efforts to preserve this beautiful tradition. Multa renascentur quae jam cecidere! 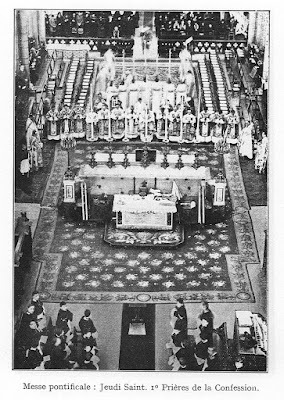 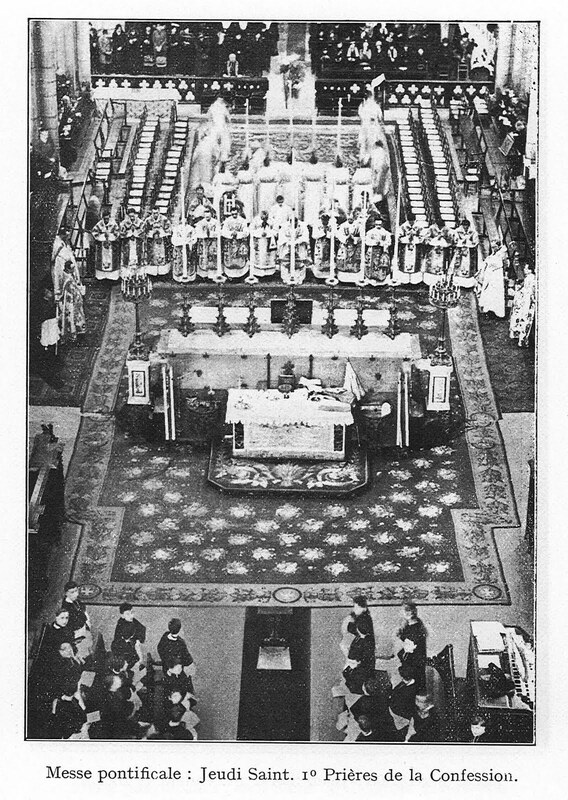 The amice is worn over the alb. Ash colored vestments (couleur cendrée) are worn on the ferias of Lent. 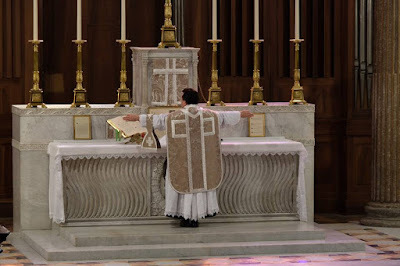 At the Offertory, the celebrant places the host on the paten; stretching out his hands, he says “Dixit Jesus discipulis suis: Ego sum panis vivus, qui de caelo descendi. 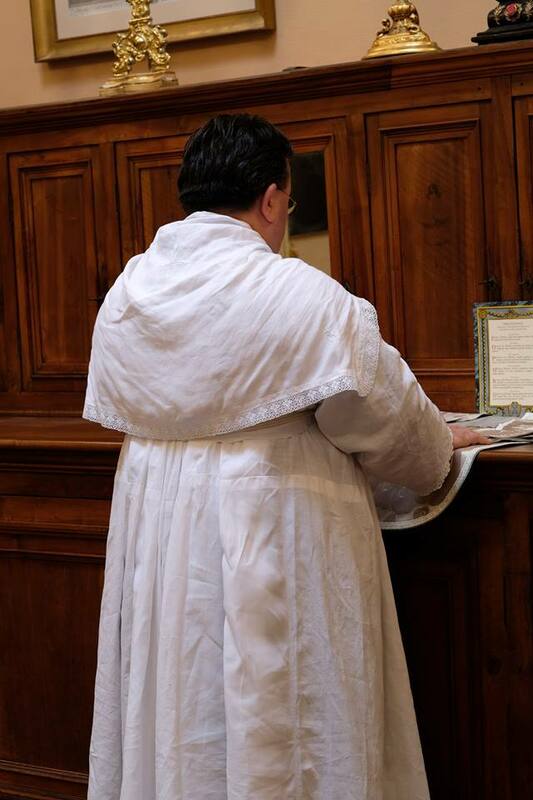 Si quis manducaverit ex hoc pane, vivet in aeternum. 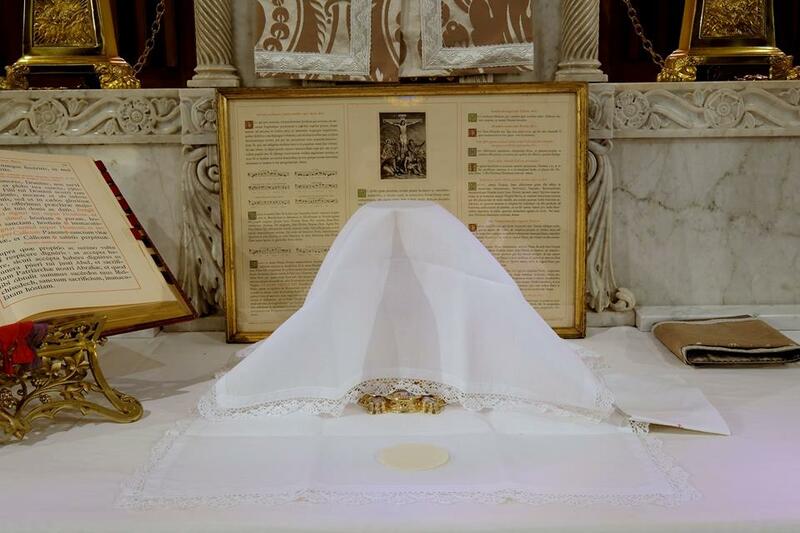 Jesus said to His disciples: I am the bread of life. If anyone shall eat of this bread, he shall live forever.” He then makes the sign of the cross in silence. After preparing the chalice at the right side of the altar, the celebrant puts the paten with the host on the chalice, and makes the sign of the Cross over them in silence. He then covers them both with the large Lyonais corporal, which serves as both corporal and pall together. 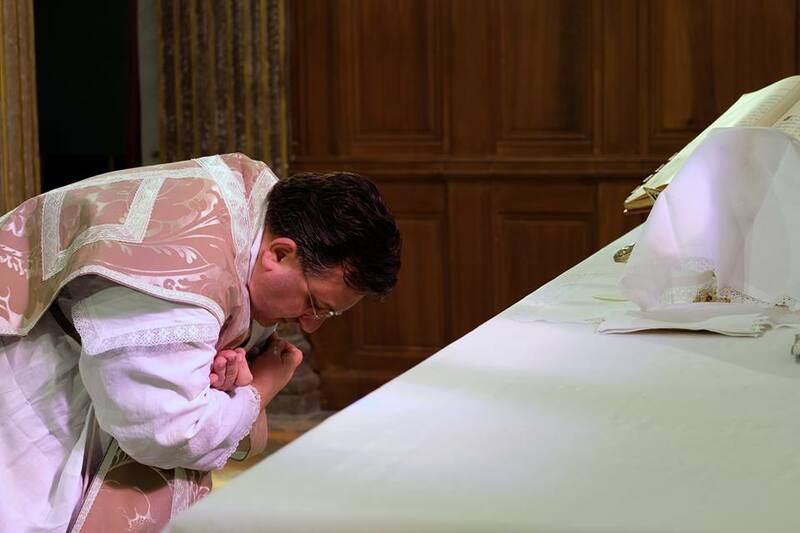 At “Supplices te rogamus”, he bows deeply and crosses his arms in front of his chest. The main altar has behind it a table called in French “l’autel de l’administration - the altar of administration (or ‘service’)”. 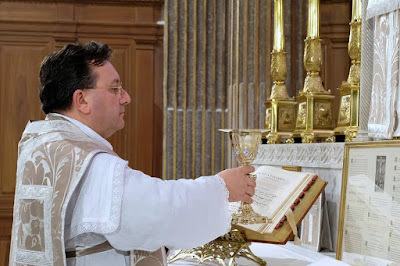 At a solemn Mass, after the Epistle has been sung, the bread and wine are prepared here by the deacon, with the subdeacon assisting.